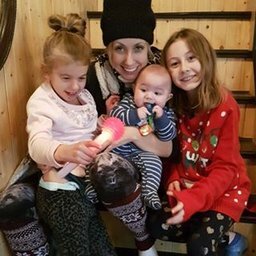 Help raise awareness about Matthew’s House! Join our team at community events and fundraisers. Being a Community Ambassador is a fun opportunity to meet people and create awareness about the great resource that Matthew’s House is in our community. Events happen throughout the year so this volunteer opportunity gives you lots of flexibility in terms of commitment. No application necessary! To support families by providing individualized, quality care in a homelike environment for children who live with complex care needs. We envision communities of fully human, interdependent citizens. Vote now for Matthew's House and Communitas Supportive Care Society by selecting an emoji below! Winning the $50,000 SimpleGenerosity grant from Envision Financial, a division of First West Credit Union will ensure the ongoing well-being of our families and growing community. Matthew’s House has become a vital resource to families in Abbotsford and across the Lower Mainland. For most of the families that use Matthew’s House, the financial cost for an overnight stay is costly and extra money is often tight. Families are able to stay at minimal cost through the generosity of others. Matthew’s House provides quality care for children living with complex care needs, strengthening families by providing an opportunity for rest and rejuvenation. Children with complex care needs require 24/7 specialized support. This need for added care affects families physically, emotionally, mentally and, often financially. Matthew's House provides an answer: it gives parents peace of mind by offering loving, compassionate care for their children in a homey, state-of-the art environment. Thank you for helping us celebrate Canada150 and strengthening our communities with SimpleGenerosity!